Palace on Wheels holds the distinction of being India’s first luxury train and winner of the PATA Gold Award (in 1987). It has redefined the meaning of luxury travel, taking comfort and hospitality to a next level altogether. From the moment you step aboard to the time you disembark, it’s a royal journey akin to the ones undertaken by Maharajas and royalty of yore. Travelling on the Palace of Wheels provides you the opportunity of having several experiences, ranging from relaxing and thrilling to adventurous. After all, while you are royally pampered indoors, you are also taken to fabulous tourist destinations in India outdoors. Its royalty, in and out. Not only are there numerous ways of seeking recreation, but the presence of outstanding facilities places you in the arms of luxury. In this blog, we tell you the things which you must do while travelling with Palace on Wheels. Palace on Wheels is all about unrestrained luxury. Each saloon on the train resembles the royal carriage used by princes, but with added modern comforts and conveniences. It reflects the cultural ethos of the state through handicrafts, furnishings and paintings. Dining is an exquisite affair, with the two restaurants offering Indian, Continental and European cuisines. Chilling out in a sitting lounge is the best way to relax after a long day while the spa offers you a variety of treatments, massages and therapies for ultimate rejuvenation. 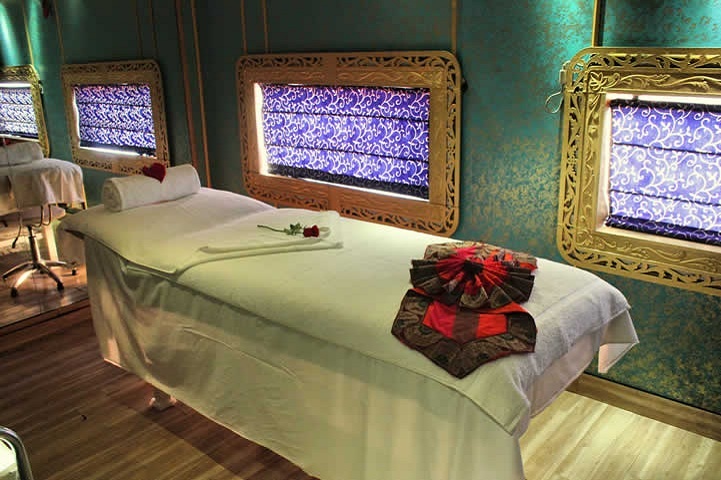 Palace on Wheels, the king of luxury train travel, offers a range of treatments, massages and therapies to experience complete rejuvenation. The spa, with its relaxed décor, certainly works wonders for the body and mind. You can choose from different kinds of therapies including Ayurveda treatment, stone therapy, Thai aromatic and Orient signature. 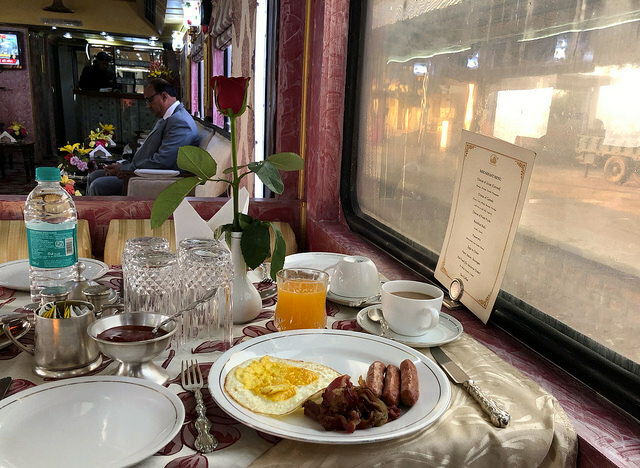 One of the special things about the Palace on Wheels train, is the varied experiences it provides. One of these is a jungle safari. The train lets you visit the Ranthambore National Park and Bharatpur Bird Sanctuary. 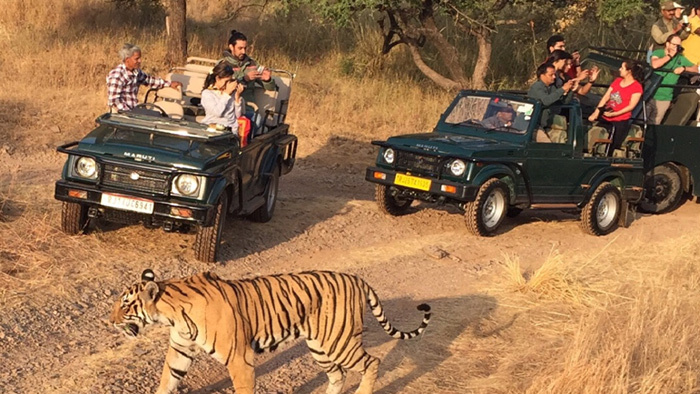 At Ranthambore, the special attraction is watching the majestic Royal Bengal Tiger in its natural habitat. Bharatpur, which is a UNESCO World Heritage Site and an ornithologist’s paradise, is home to over hundreds of resident and migratory birds including some mammals. You can get a taste of Rajasthan’s cuisines and flavors within the comforts of the train itself. 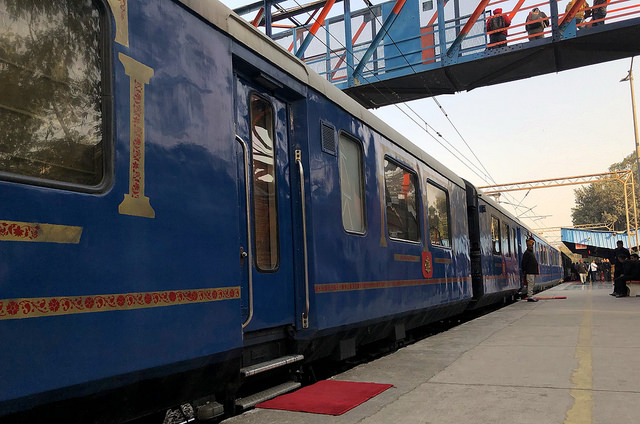 The luxury train, with its two restaurants that possess a stylish décor, brings you the taste of authentic Rajasthani cuisines within the comforts of the train. In addition, you are also treated to a variety of cuisines including Continental and European. Guests also can also opt for a la carte menu. The restaurant also boasts a well-equipped bar serving both alcoholic and non-alcoholic beverages of both Indian and International brands. What can be more charming than a desert safari? Thanks to Palace on Wheel tours, you can enjoy a dinner under the sunlight, with the warmth of the bonfire and the cool sands to keep you company. 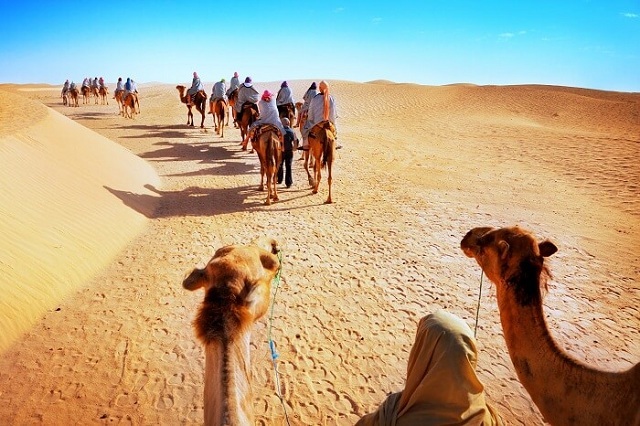 You will enjoy a desert safari in Jaisalmer across the famous Sam Dunes. A camel ride will leave you thoroughly thrilled, while the fabulous views of the sunset will leave you wanting for more. The highlight of the trip is a cultural performance under the starry sky in Jaisalmer. 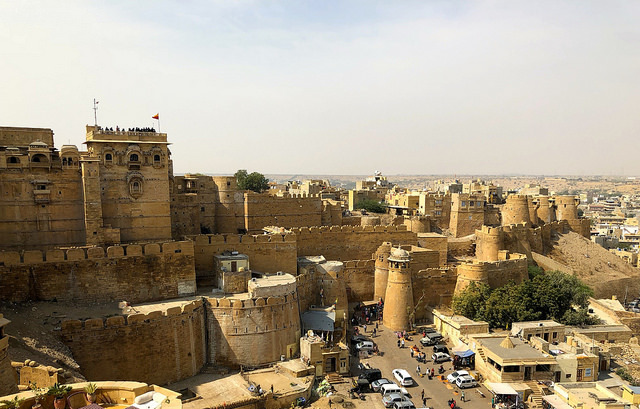 As you would know, Rajasthan is blessed with an incredible heritage which can be explored by visiting its enormous forts and majestic palaces. The train takes you on a journey across the cities of Jaipur, Jaisalmer, Sawai Madhopur, Chittorgarh, Udaipur, Jodhpur and Bharatpur. All of these cities are dotted with various historical structures that are architectural masterpieces and exist as glorious achievements of the past. 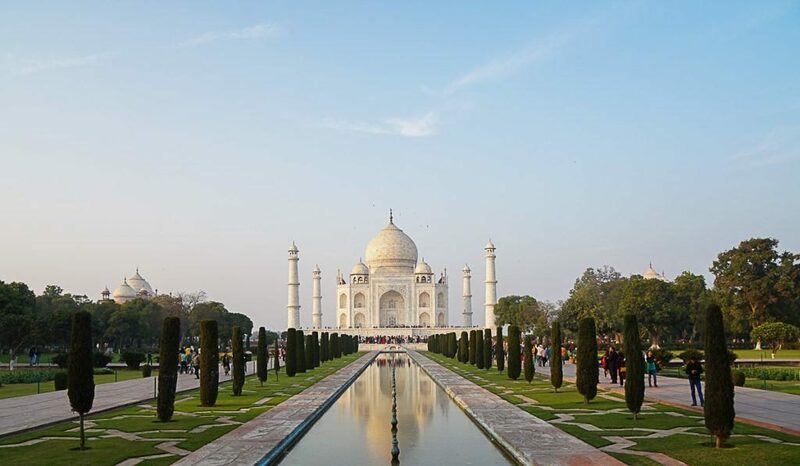 During your journey with the luxury train, Palace on Wheels, you will also get a chance to visit the Taj Mahal, a UNESCO World Heritage Center. Coming face to face with this majestic structure makes you want to keep staring at it for a long time, with a hundred different thoughts racing through your mind. Agra Fort, a UNESCO World Heritage Site, was built under the reign of Akbar and served as the residence of several emperors of the Mughal dynasty. 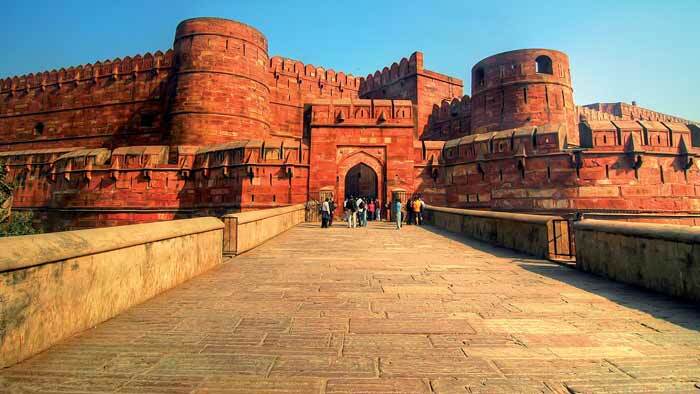 Visiting this magnificent structure is really an enriching experience, one that is made even more exciting by the light and sound show at Agra Fort which provides an insight into the history of the monument. The entire show is a visual treat to the eyes. Fatehpur Sikri (the city of victory), a UNESCO World Heritage Site, is more of a city than just a monument. 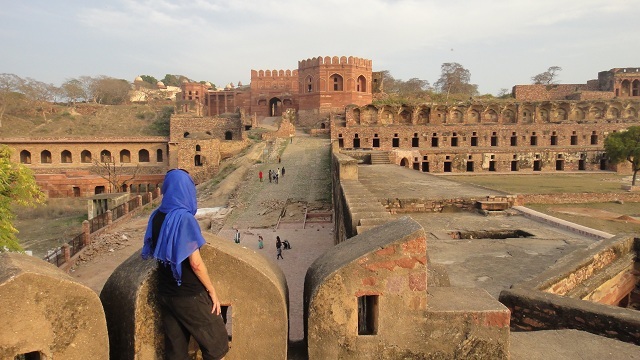 Built by Akbar, it was the capital of the Mughal Empire for just some years before being abandoned. However, there are several palatial and grand buildings inside the city, all of which are fine specimens of Mughal and Persian architecture. 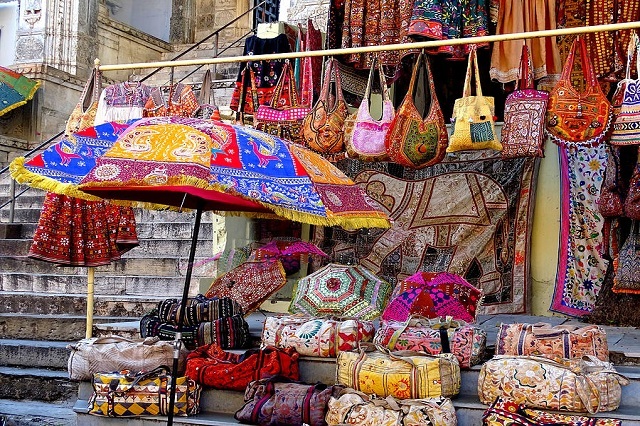 Rajasthan is also a shopper’s paradise, and there are several markets where you can lay your hands on ethnic items, ranging from handicrafts and footwear to costumes. Some of the popular markets in Rajasthan are Tripolia and Johari Bazaar in Jaipur, Sadar Bazaar and Bada Bazaar in Jaisalmer and Mahatma Gandhi Road in Bikaner. 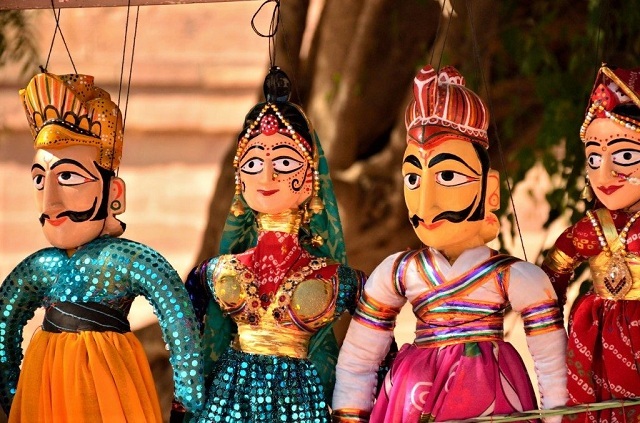 In Rajasthan, you will also get a chance to enjoy the puppet show. These puppet shows are simple and exciting. They mostly depict the famous tales of the land, with the primary characters being the kings and queens. Quite popular in Rajasthan, they should be experienced on your visit there by Palace on Wheels.